I heard on the news this morning that a good friend of mine was killed in a tractor accident at his home, while moving snow on his property. Marvin Carter was once my neighbor and a very good friend. He recently moved to Devils Lake, ND. 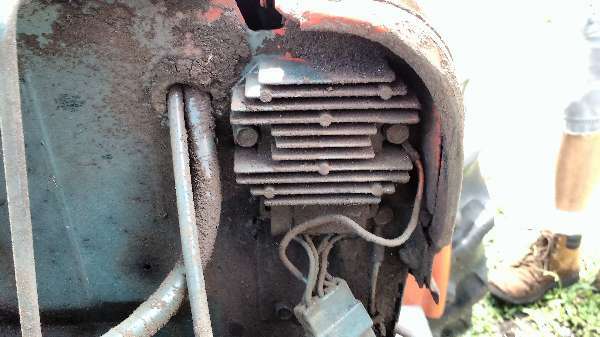 Please folks, be careful when working around your tractors. Even a small tractor is very powerful and can be dangerous. Sorry for your loss. This is sooooo easy to happen. Once I was operating a decent size excavator digging next to a basement. The hoe was several feet away from the house and raised when I went to exit the machine. My coat pocket got caught on the boom swing lever and swung back with full force into the house. The homeowners were in the house at the time and didn't say a word about it. Me, I about crapped my pants. I grew up before seat belts and any other protection device. Have grown to like them. Joel sorry about your friend. As Jeff pointed out it is so easy to just a simple act have serious results. It does pay to disable a machine before mounted or dismounting it. Have heard so many terrible deaths of people leaving something running as they left a seat only to have a loose fitting shirt be used to pull them to their death and a horrible one at that.